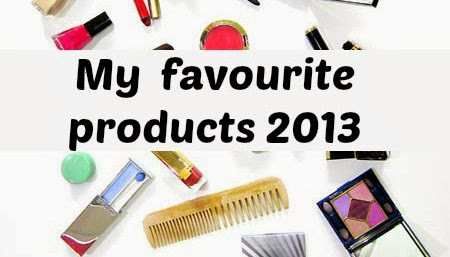 So far I have brought to you my favourite hair and body and lip products for 2013 and today you get to read about my favourite face products. I found this one of the easiest categories to put together from all of the ones that I am sharing with you in this little series of posts. DermaCo Revitalising Toner - I was introduced to DermaCo back in August and reviewed the product I am featuring today which you can see HERE. This is my second bottle of the Toner which shows how much I really like. It looks really good alonside my other products which sit on my bedside table and when I use it, it leaves me skin feeling soft, smooth and incredibly clean and there is no horrible chemical scent which used to put me off wanting to use Toners. HealGel Face and Eye - Two products that would always feature in my favourites because they are just that. I reviewed the Eye product which you can find HERE and the Face version is coming up on my blog shortly. From the packaging which is superb to the effects this product claims and lives up to, it is brilliant. Balance Me Radiance Face Oil - One of my favourite brands to date, Balance Me introduced me to the world that is facial oil, a product that I never thought I would be able to using having combination/oily skin. This was the first facial oil I used and I reviewed it HERE and I still love how it makes my skin feel. La-Roche Posay Thermal Spring Water - a product I bought on the recommendation of other bloggers and one that I have enjoyed using, particularly when we had that hot blast of weather in the summer. I reviewed it HERE and love how it refreshed my skin whilst cooling me down during those hot few weeks. Simple Kind to Skin Illuminating Radiance Cream - I am a huge huge fan of Simple products because you get exactly what you pay for and they do what they claim to do. I love this Skin Illuminating Radiance Cream which I reviewed HERE and I love how it made my skin feel once I had applied it and it certainly adds a little something. Origins High Potency Night A Mins Mineral Enriched Renewal Cream - Which is a bit of a mouthful to say but worth saying. I got this cream in my goody bag after attending my very first blogger event with Company magazine and I had been looking for a good night cream and having been given this decided to try it out. A review of it is coming soon but what I can say about it is that the cream itself is a really lovely texture which sinks into your skin as soon as it is applied and in the morning when I wake up, my skin feels lovely and moisturised, so it is especially good when my skin is needing a little TLC. There you have my favourite skin care products of 2013, seven of them in total and each one of them has been a product I have gone back to time and time again. Would or have any of these products feature in your favourite products list? Great list - I keep reading about the Heal Gel - definitly going to have to find some for myself! I definitely need to check out some of these! Ooh lovely choices, I haven't tried any of these but have heard great things about HealGel, and the DermaCo toner sounds fab too - definitely one I need to check out. oooh really need to check some of these products!! I really need to try Heal Gel. It sounds amazing! I haven't tried anything here! What a shocker! I really want to try a chemical exfoliater in 2014! I love Simple skincare, it so underrated. And Happy New Year! I don't think I've ever tried any of these products before. They sound fab.